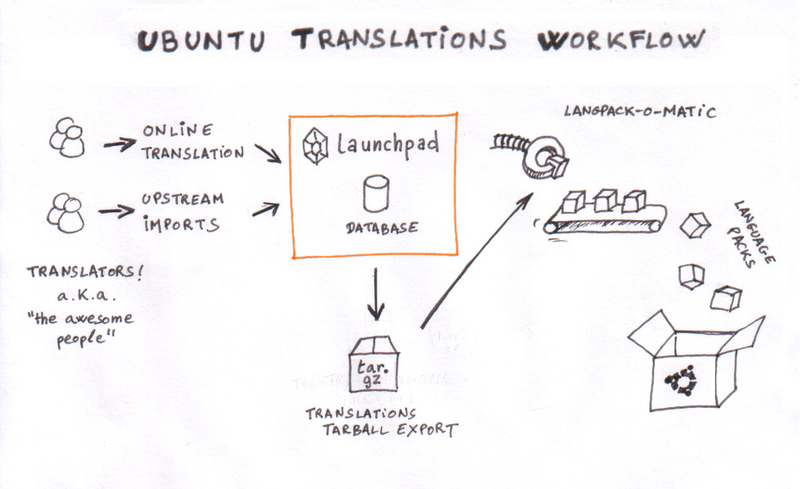 Join me in a fresh episode of Ubuntu Translations TV tomorrow, where I'll be continuing the series started on the last session and explain what happens to translations when they get out of Launchpad and are delivered to our users for some localized goodness. Again, this will be a bit technical, but not too much, and it will help everyone understanding the big picture of how translations work in Ubuntu. As usual, feel free to participate and ask your questions! Note that if you wish to participate in the online chat, you’ll need to sign up for a ustream account (you can use your Launchpad OpenID), but I’ll also be answering your questions on the #ubuntu-translators IRC channel on Freenode.